Extinction (film, 2018). 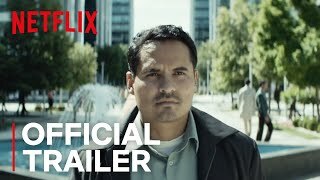 A 2018 American science fiction thriller film by Netflix. Directed by Ben Young. Official Trailer. Extinction is a 2018 American science fiction thriller film directed by Ben Young. 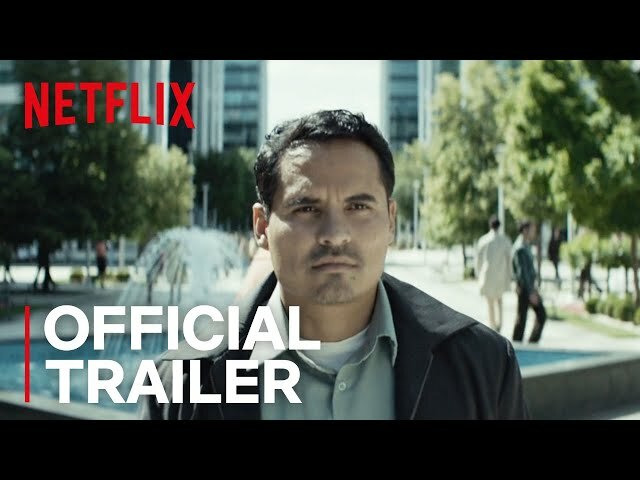 Extinction | Official Trailer | Netflix. Peter, an engineer, has recurring nightmares in which he and everyone he knows suffer through violent, alien invasion-like confrontations with an unknown enemy. He reluctantly visits a clinic to receive psychiatric help, only to find a patient there who reveals that he is having the same visions, prompting Peter to believe his visions are of an upcoming invasion. That night, invading spaceships open fire on the city, causing significant damage. Peter and his wife, Alice, barricade their apartment amid the sounds of slaughter from ground troops. A soldier dressed in armor breaks through the barricade and finds Lucy, one of the Peter and Alice's children, hiding under a table. The soldier pauses to examine the girl, and that distraction allows Peter and Alice to immobilize the soldier. Peter, now armed with the soldier's weapon, leads his family out of the building. Based on his visions, Peter and his family agree to seek shelter at the factory where Peter works. He is able to bypass the rifle's biometric authentication and kill soldiers guarding the apartment building's exit. They make their way to a tunnel entrance to safely travel to the factory, but not before Alice is injured from a bomb blast. As they regroup, the soldier from their apartment appears, having tracked them with a homing signal on the rifle Peter took. To Peter's shock, the soldier removes his helmet and appears human. Peter forces the soldier to carry Alice to the factory. There, his boss, David, explains that the invasion has been expected for many years. A medic examines Alice but informs Peter that he cannot save her. As David's men drag the invading soldier off to execute him, he yells to Peter that he can save Alice. Peter agrees to stay with the soldier to save Alice; David will evacuate their children to a subway station where a transport train awaits to take them all to an offsite base. Principal photography began in April 2017. The film Extinction was scheduled to be released by Netflix on July 27, 2018. Extinction got average rating from critics. The audience dislikes the film either.